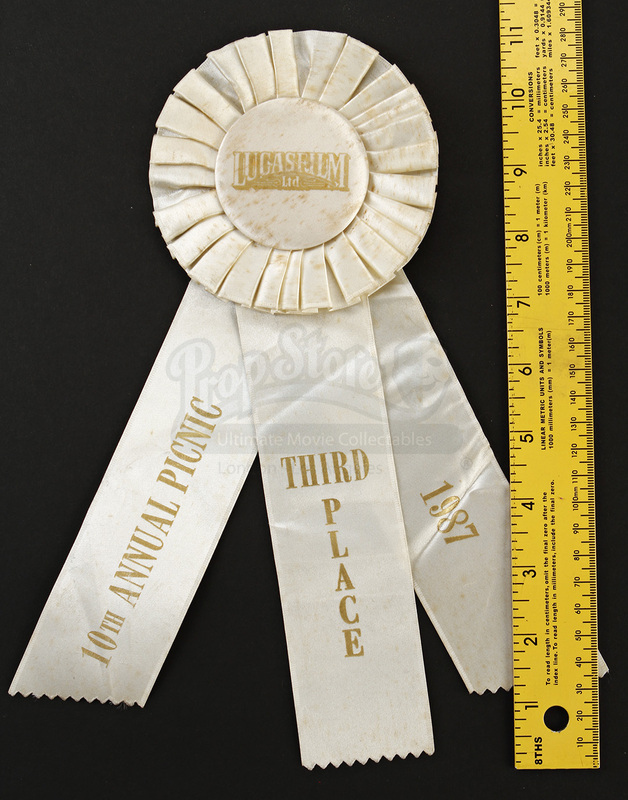 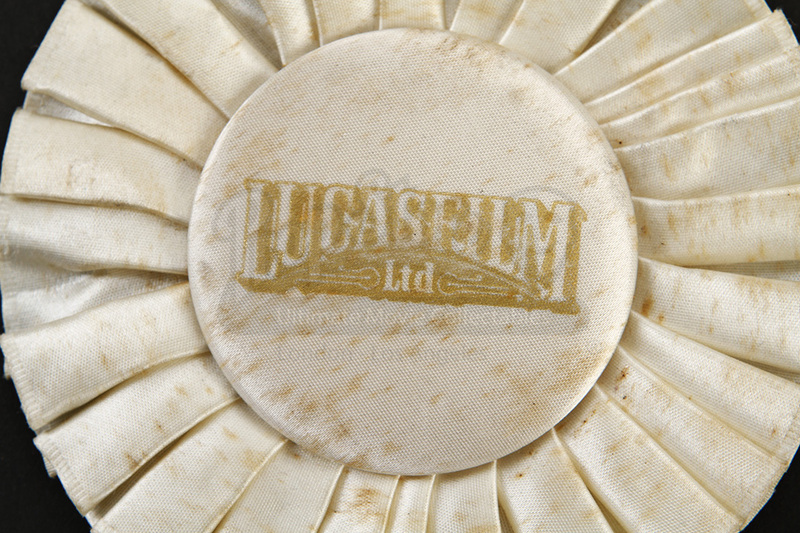 A Third Place Ribbon from the 10th Annual Lucasfilm Picnic. 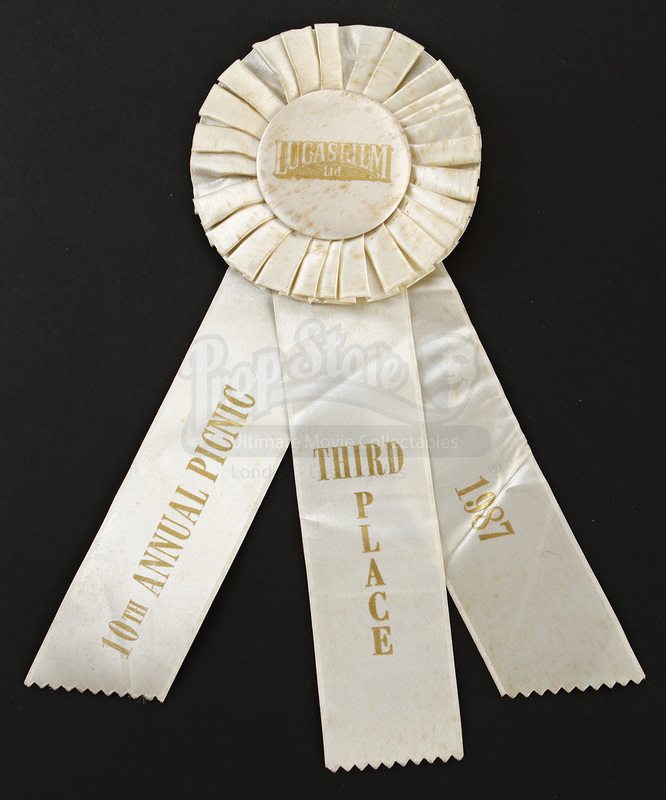 The ribbon reads "10TH ANNUAL PICNIC THIRD PLACE 1987". 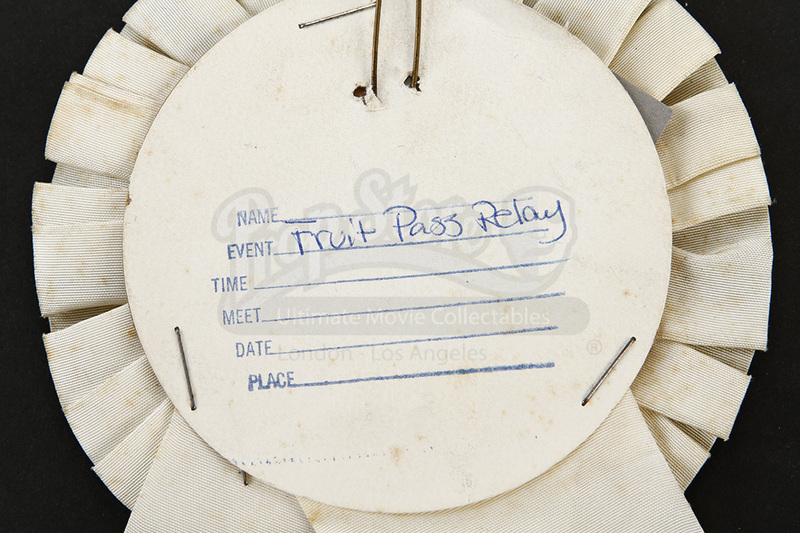 Features the Lucasfilm Ltd. logo and a cardboard back with "Fruit Pass Relay" handwritten in blue ink. 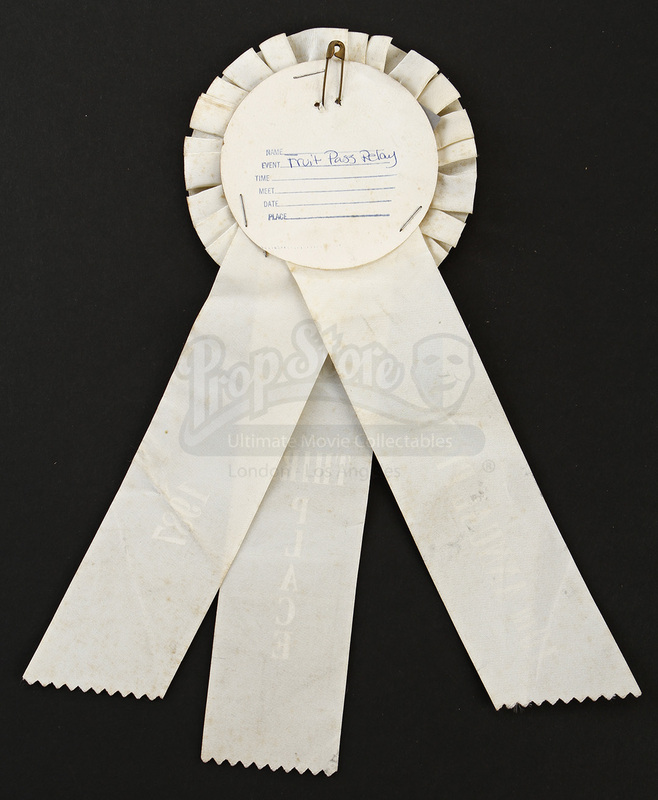 The item has some storage and age wear including a faded logo, stains, scuffs, and folds, but is in otherwise good condition.